Welcome to Aviation Strategy — the boutique Aviation Consultancy and Publisher. Our focus is on all aspects of commercial aviation. Our clients include LCCs, Regional, Charter and Network airlines, private equity houses, government and regulatory bodies, airports, banks, leasing companies and manufacturers. Based in London, our clients are global — in Europe, Asia, Africa, the Middle East and Americas. When required, Aviation Strategy forms teams of established experts to address particular issues. To find out more about Aviation Strategy please call +44 (0) 207 490 4453, or email info@aviationstrategy.aero. The principals and associates of Aviation Strategy have extensive experience in analysing, commenting, reporting and forecasting on all commercial aspects of the aviation industry. Aviation Strategy has entered into a partnership with Athens-based Global Aviation SA . Global Aviation was founded in 1997 by Markos Tsaktanis, whose career includes top managerial and Board of Directors’ positions at Aegean Airlines, Lease Corporation International (LCI) and Group 4, among others. Markos is now Chairman of the company while his two sons, Petros and Alexandros, are Managing Directors. 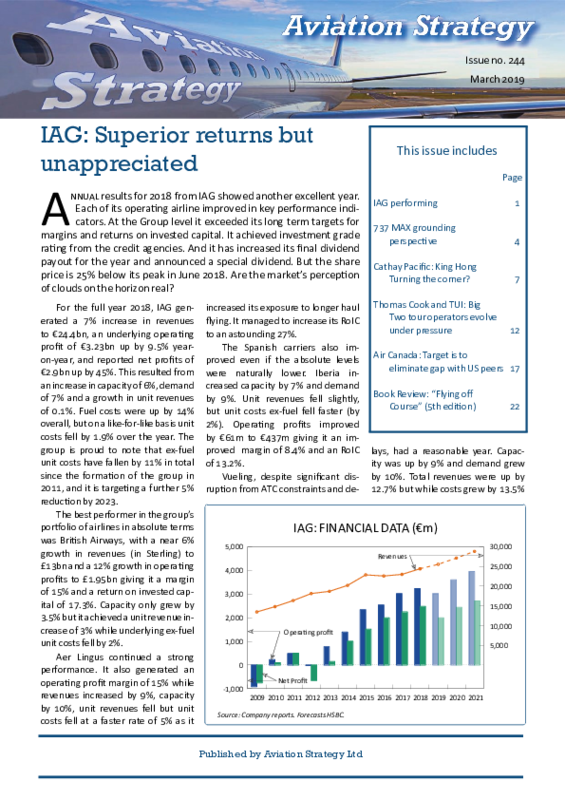 The specialist newsletter Aviation Strategy is published ten times a year (Jan/Feb and Jul/Aug are combined issues). Our editorial policy is to analyse contemporary aviation issues and airline strategies in a clear, original and objective manner. Aviation Strategy does not shy away from critical analysis, and takes a global perspective, with balanced coverage of the European, American and Asian markets. The newsletter is available under a personal digital subscription (special offers are available for multiple subscriptions, intra-net distribution and academic study) and is emailed on publication. A subscription also provides online access to over 20 years of archives.